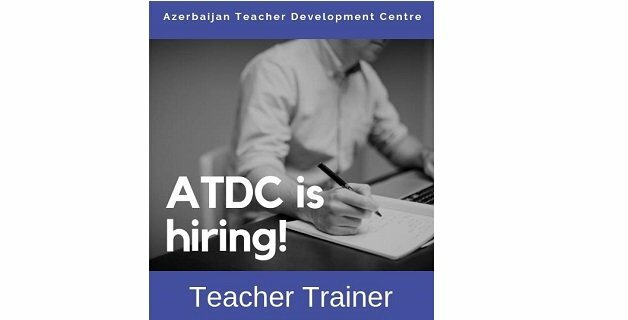 The Azerbaijan Teacher Development Centre (ATDC) was established to provide ongoing professional development and learning for teachers. ATDC provides teacher learning and development for teachers in schools through developing relationships with individual schools, ‘open’ classroom days, regional school seminars, Ministry of Education tenders and ATDC’s International Learning Conferences alongside Centre based programs for teachers. ATDC has a Professional Development Centre that is well resourced with specialist training and learning facilities, a Library with an extensive collection of reference books, e-books and resources, a Recording Studio for the development of video teaching materials along with offices and meeting rooms. ATDC is seeking highly qualified and experienced teachers to join our team as full time teacher trainers. A number of positions are available. The start dates for these positions are open and negotiable. An attractive remuneration package commensurate with qualifications and experience is offered. Early application is recommended, as applications will be processed on receipt. To apply, please forward your CV (in both Azerbaijani and English), together with a covering letter outlining how you would contribute to ATDC and its mission and the names and contact details (email and phone number) of two professional referees.